Let me start by saying I grew up Amish, which is a religious group that discouraged voting. I think you would have gotten shunned by the leaders for registering to vote in the Swartzentruber Amish, one of the strictest Amish groups. But I left the Amish for the 3rd and final time at the age of 18. At that point, I could vote in the Bush election and the reelection of 2004. In 2004, I actually went door to door handing out papers in Wooster, Ohio to get people to vote for Bush’s reelection and other Republicans running for office. I remember one Wooster resident saying they did not support Bush, so I told them that the papers were not just about him, so they accepted them. As time passed and the kids got older, and the war was still dragging on, I discovered Ron Paul. In 2008 I ended up writing him in, and again in 2012. I even got to meet Dr. Paul in Nashville TN a year or so later. But at this point, after the 2012 election that was stolen from Paul, I had become an Anarchist. A lot of people hate when I mention that word because they do not understand it. It simply means “no rulers.” We should not be controlled by an entity that claims to “represent” us, all while harming us. I also got to meet a new friend, the author of FREEDOM!. I have kept in contact with Mr. Kokesh over the last few month, but even before I met him, I knew I was not voting for anyone in 2016. I will, however, be voting for my new friend in 2020, so he can shut the government down. 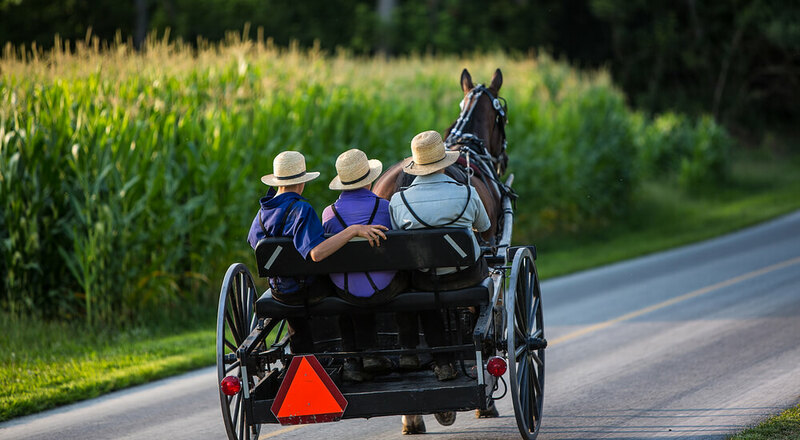 Now, as a former Amish person, I keep getting tagged on Facebook and asked if this Amish PAC thing is for real? Yahoo wrote an article recently about it, as did quite a few others. As far as I know it is, and a fellow former Amish guy is a part of it, but while I admire Trump as a businessman, I have too many issues with him to vote for him. it is not about the religious past, but because we can not continue this system that gives some people power over their fellow man, and then expect them not to abuse it. it is illogical. We can do better. Localize governance to our communities. Yes, that is something that the Amish do, and I would consider them to be a great example of Anarchy. Maybe, and this is just a suggestion, we could make it a rule that towns can not have less than X% of representatives, as compared to the populace in that town. If there are 10000 people in town, we need 15% of them to be representatives. Yes, that would make for large crowds at town-hall meetings, but it would also make for not being able to get expensive stuff passed that harm us all. If the town is in agreement to pass the bill, fine, but we need people involved in their communities again. Not just give it to some political hack that lucked out to get a seat at the table to give himself a raise. And I am not sure what the future holds, but I see a bright future if we can get the State out of the way. One thing I see is self-flying cars. I think the work that Google is doing with self-driving cars is great, but I think they are focusing on the wrong thing. It would be easier to program a flying object than a car that has a lot more obstacles in the way. I will sign off by saying, get involved. Share this if you want, but go out there, and make something happen that is good for humanity. Don’t just go vote away your rights to some super power. Former Amish guy, father of 4, and an Anarchist, who is not voting, but interested in the process of the selection of the next Puppet of the USA Corporation.